I first encountered Vicki Lane through Lelia Taylor’s wonderful blog, and Vicki’s latest release quickly moved up my Pile. (You know the one. That irreplaceable stack of soon-to-be-reads, at which even a partial glance generates its own unique breed of Christmas morning excitement.) Anyway, I am thrilled to have found Vicki’s work, and honored that she shares her Moment here. The question — How did I know that I’d made it? – immediately made me think – Whoa! Who says I’ve made it? And what does it mean anyway, to ‘make it’? Here’s the thing — my experience in the writing world has been a sort of roller coaster ride, a series of hills and valleys, ups and downs, in which, at the height of the ride, ‘making it’ seems almost in sight — only to disappear as the roller coaster turns downward again. I thought I’d made it when after sixty-some query letters and three months of rejection replies, a real live agent called and offered to represent me. Riding high, I was — but then no one wanted that first novel. I thought I’d made it when my second attempt got me a two-book contract with Kate Miciak at Random House. And a second and a third contract. But I’m still not earning a living with my books. I thought I’d made it when my fourth book was nominated for an Anthony. But the prize eluded me. What would it take for me to feel I’d really made it? A major award? The NYT Bestseller list? A slot on Oprah? A lucrative contract? I wonder. Is it human nature always to see yet another goal? Is Lee Child fretting because he hasn’t gotten a Pulitzer prize? Is J.K.Rowling holding her breath when the Nobel prizes are announced? Is the blockbuster author with a six million dollar contract miffed that he didn’t get twelve? Are we all awaiting the coming of a heavenly messenger, naming us The Grand Hooyah and Master of the Universe? I do know I’m happy to have gotten as far as I have, riding that roller coaster. And I hope the ride continues. Vicki Lane is the author The Day of Small Things and of the Elizabeth Goodweather Appalachian Mysteries which include Signs in the Blood, Art’s Blood, Old Wounds, Anthony-nominated In A Dark Season, and Under the Skin (coming from Bantam Dell in 2011.) Vicki draws her inspiration from the rural western NC county where she and her family have lived on a mountainside farm since 1975. Visit Vicki at her daily blog or her website. If an offer gets made. Of course, there’s the new media stuff. The hire-an-independent-publicist stuff. (For which we plan to sell my husband’s car. Anyone want an almost-new hybrid?) Web stuff. Blog tours, social media, Skype. I mean, I don’t get Twitter, but really, does anybody? Just kidding. I know some do. They’re six, but still. I do plan to go a little light on Skype, though. Not because I have anything against Skype. But because for me publishing a book–not writing it, but this whole zany quest to have it published–is about readers, and books. Handing the latter to the former, in a real-time, live, physical way. Shaking hands while I’m at it. Exchanging a smile and a few words. I plan to meet readers in two ways. The first has to do with booksellers, whom followers of this blog know I love almost as much as I do readers. The Declaration of Independents tour will take me to as many independent bookstores across the country as I can reach. And I can reach a lot. Followers of the blog also know all about my penchant for cross-country travel. If there aren’t readers in those bookstores at first, that’s fine. Saying hello to the bookseller is just as important. Once I’ve moved on from Boise to Des Moines, maybe that person, for whom books are the truest labor of love, will remember I came by. Maybe when a fan of literary suspense enters the store, the bookseller will say, “Have I got a novel for you…” and walk over to the shelf…and pick up…my book. Oh my. Pause to wipe tears. Enough of those stops and there may be a reader or two in the store by the time I reach Nebraska. Maybe more than two by California. Don’t forget, I get to drive back again. Lots more bookstores along the way. The second thing is my Book Club Promise. That’s where I offer to come speak to as many book clubs as I can get to–I’m driving by all those bookstores anyway–about writing and publishing and the novel itself. I’m part of a book club. The meetings where an author comes are pretty cool. A little wine, a little talk, some secrets told. This post is so earnest, it’s killing me. I want to be funny like my favorite funny blogger. But I just can’t. Those tears were for real. The urge to get my book out there is as raw and inarguable as the need to push. You know, a baby. And when I do, it’s readers and lovers of books whom I want to meet. We can laugh when I get there. a very intriguing question got raised at yesterday’s Standing Room Only event with publishing stars Aaron Talwar, Amy Gash, Janet Reid, Joelle Delbourgo, and Reagan Arthur. I hope Suspense Your Disbelief readers will weigh in, get a real conversation going. With major newspapers folding, taking their book reviews with them, and more on-line review sites springing up every day, are we living in the cult of the amateur? Or is the wisdom of crowds enough to rely on? will be gathered together tomorrow night at the local independent bookstore I love, for the writing series I co-host. I am very excited. The title of this panel is “Brave New World: Publishing a Book in 2010…and Beyond” and I hope that says it all. These talented and experienced publishers, editors, and agents will all share their unique perspectives on where the world of books–or should we say, stories–is going, based on where we are now, and where we’ve been. I think the fact that the event will be held at an always packed bookstore says a lot about the role such places will continue to play as the unquenchable need for story continues to express itself. Tomorrow night will include finger snacks, desserts, and a champagne toast. A lot of writers and authors and lights of the publishing world whom I’ve been lucky enough to meet will be there. I can’t imagine a much better night, or how anyone could ever want to live in a world without this. I mean, can you say apocalypse. Suspense Your Disbelief readers, if you have chance to attend, please come up and say hello! And may everybody’s Friday nights include some good food, good talk, and of course, a good book. I am so happy to welcome Donna home for her first stop after a trip to the mysterious Calgary (at least so that faraway land seems to me). Perhaps I am influenced by Donna’s haunting, evocative work, which brings to my mind fog-shrouded abbeys and secrets that shouldn’t be told. Fans of history and mystery should take a look–and everyone who wonders if they will ever make it will appreciate Donna’s take below. Jenny, I am so honored to be included it on your “Made it” blog— even if I haven’t made it yet. I whole-heartedly agree with your guest some time back who made the point that we never really do make it. Every achievement is to be celebrated, but there are always the far pavilions to be reached. My dear, departed daddy was a wonderful role model of celebrating every victory. When he was far gone with Alzheimer’s he remained sweet and cheerful. “Are you having a good day, Daddy?” I would ask. “Every day we get is a good day,” his unfailing reply. And so getting my website up was a “Made it” moment for me because after 20 years of a reasonably successful writing career I spent 10 years in the wilderness. Still writing, but not publishing. Then came the contract for A Very Private Grave (in the middle of the financial crash when publishers were pulling back)— certainly a “Made it” moment. And like starting a whole new career as well. Ten years ago there were no websites, no blogs, no Facebook, no Twitter. . . But as I said, every new plateau is just that— only a plateau. There’s always the next cliff to be scaled. For me, the cliffhanger was getting, not just a contract for A Very Private Grave but for the whole Monastery Murders series. Or if not quite the whole series, at least for the next book. My excellent and very conservative English publishers Monarch Books kindly agreed to put the first chapter of A Darkly Hidden Truth, #2 The Monastery Murders, in the back of Private Grave, but it was clearly understood that there would be no contract until the sales figures were in on that first book. And not just figures from the UK release which occurred last June, but figures from the American release— which wouldn’t occur until September. Surely the longest four months on record. I don’t even know how long I’ve been holding my breath, but I can tell you I have no fingernails left. Today, O frabjous day! My lovely, understated editor sent me a five line note stating that they are ready to proceed with book #2. After I quit shouting (a neighbors swears that’s why her baby wouldn’t go down for his nap) I had tea and chocolate cake with my husband, then sat down and wrote this blog. Thank you for celebrating with me, Jenny. 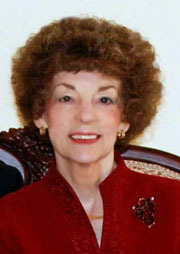 Donna Fletcher Crow is the author of 35 books, mostly novels of British history. The award-winning epic GLASTONBURY, is her best-known work, an Arthurian grail search covering 15 centuries of English history. 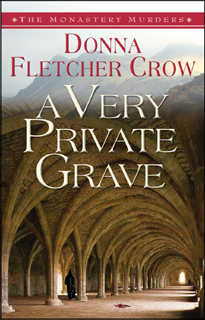 A VERY PRIVATE GRAVE, book 1 in the Monastery Murders series is her reentry into publishing after a 10 year hiatus. THE SHADOW OF REALITY, Book 1 The Elizabeth & Richard Mysteries, is a romantic intrigue available on Ebook. It seems like I’ve been waiting for the release of Todd Ritter’s debut every day along with him (if not with quite as much bated breath) and I am so glad to celebrate with him on launch day! DEATH NOTICE is already attracting attention–including some from my favorite reviewer in the world–and so I know Todd is going to do well as he sails out into the world. Today would be enough to let a guy knew he’d made it…but check out what Todd has to say on that below. For me, the journey to publication was filled with so many moments where it felt like I had finally “made it.” Getting an agent was a big one, and memorable because I was high on cold medication at the time and probably sounded positively loopy when talking with her. Another huge moment, of course, was finding out that DEATH NOTICE and its follow-up had been sold to Minotaur Books. I was at work at the time, just starting a long evening shift, and a co-worker cried with happiness when I told her the news. My boss shook my hand and ordered me to go home and celebrate. But the true “made it moment” for me was much quieter and came in a large envelope dropped at my doorstep by UPS. Inside were the unbound galley pages of DEATH NOTICE that I needed to review and approve. I flipped through them aimlessly, stopping at the title page. Todd Ritter was born and raised in rural Pennsylvania. An editor and journalist for more than 15 years, Todd began his career as a film critic while attending Penn State University. Currently, he works for The Star-Ledger, New Jersey’s largest daily newspaper. Death Notice is his debut novel. He lives outside of Princeton, where he is hard at work on the next Kat Campbell mystery. Visit him online at www.toddritteronline.com. Cherish D’Angelo,far better known in her role of bestselling author, Cheryl Kaye Tardif, pens this Made It Moment. Here she talks about what it’s like when a pseudonym starts having Moments. Thank you so much for hosting me during my Cherish the Romance Virtual Book Tour, which launches my contemporary romantic suspense, Lancelot’s Lady. Every stop on my tour I’m giving away free ebooks to anyone who leaves a comment and their email address, plus I have other fabulous prizes to give away. Before I tell you my “Made It Moment”, I must explain that I am best known as bestselling author Cheryl Kaye Tardif. Cheryl has experienced many “Made It Moments”, far too many to list here. Cherish D’Angelo’s moments are only just beginning. As Cherish, my first official “Made It Moment” was when Lancelot’s Lady made it into the semi-finals (top 20) of the “Next Best Celler” contest, sponsored by Dorchester Publishing and hosted by Textnovel. Though I didn’t win, Lancelot’s Lady went on to win an Editor’s Choice Award from Textnovel. Placing in the semi-finals and the award are definite “Made It Moments”. Another “Made It Moment” for me is when critically acclaimed author Gail Bowen read Lancelot’s Lady and provided me with a wonderful review blurb. Gail is one of my author idols; I love her books. Her novels were made into television movies starring Wendy Crewson and Victor Garber. Having her review Lancelot’s Lady is such an honor for me. I believe life is made up of many “Made It Moments”, from the time we’re young until the day we die. I acknowledge and celebrate each one, and I encourage everyone to do the same. “Made It Moments” don’t have to be the big Hollywood red carpet affair. It can be something as simple as walking on a treadmill for ten minutes, or getting a diploma or degree, or getting a job, or having your first website created, or being featured on a blog, or winning an award, or even just getting out of bed in the morning. When romance author Cherish D’Angelo is not busy relaxing in her hot tub, sipping champagne, eating chocolate-covered strawberries or plotting romantic suspense with scintillating sensuality, she is ruthlessly killing people off in her thrillers as bestselling Canadian suspense author, Cheryl Kaye Tardif. It’s easy to get lost in the writing end of things and not really know for sure if you’ve “Made It.” My epiphany came very unexpectedly and threw me into a panic. I was working on my first novel, FOOLS RUSH IN. My Sisters in Crime chapter decided to run a short story contest based on the historical eatery where we held our meetings. Not only did I win the Dead Bird award, but I submitted the story to another contest and won the Persie trophy. Then I submitted it to Murderous Intent Magazine and won first place and $100. Pure luck. So, I wrote more stories. Each one seemed to pick up an award. I was not encouraged, and told instead to concentrate on my novel. At some point, people wanted to read these stories. Two writing friends and I compiled them into an anthology and titled it “Valley Fever: Where Murder Is Contagious.” We only printed up 1,000 copies of this prize-winning collection. The book is now a collector’s item in the San Joaquin Valley of California. Still, I thought it was a fluke. People said I couldn’t make money in the short story market. I was getting nearly $100 per story in contest winnings. I was invited to be on panels at conferences. I was dubbed “The Contest Queen” by the Short Mystery Fiction Society. I had too many trophies to display, free passes at conferences and a list of writing credits that went to five full pages. I developed Guerrilla Writing, or How To Win Short Story Contests. I dress in Army camouflage and pass out dog tags to people who pass inspection. At a signing on the Pacific coast, a woman stopped at our table and said, “Do you know Sunny Frazier, the one who wins all the writing awards?” Embarrassed, I shyly raised my hand and said, “Uh, that would be me.” It did not earn brownie points with the co-authors of the anthology. But for me, the real “Made It” moment was when I received an award in the mail from Writers’ Digest informing me that I’d won third place out of 19,000 contest entries. I didn’t care that I hadn’t won first or second place. I knew I’d fought the odds and scratched out the beginnings of a career in one of the toughest markets. The win confirmed what people were trying to tell me—that I had that unique “something” that makes a writer stand out from the pack.